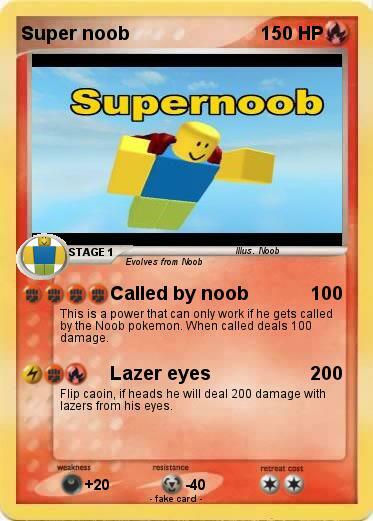 This is a power that can only work if he gets called by the Noob pokemon. When called deals 100 damage. Flip caoin, if heads he will deal 200 damage with lazers from his eyes. Comments : Dont worry, the super noob will save you, but he will probably fail and slam his face on the floor.